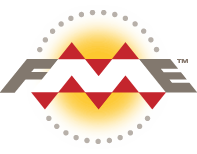 Use FME to transform data into and out of the GeoMedia Access MDB format in an automated, repetitive way. Conversely, use FME to transform and store data from any of its supported formats in a GeoMedia Access database system. A GeoMedia Access Warehouse stores geospatial data in the MDB format which can be accessed for use through GeoMedia applications. FME lets you integrate many applications and file formats. Here are some of the ways our users convert GeoMedia Access Warehouse. The table below outlines how GeoMedia Access Warehouse is supported by our different FME products, and on which platform(s) the reader and/or writer runs.